As part of the trial offer, Airtel customers in Shillong will be able to avail a complimentary upgrade to 4G services at 3G prices. 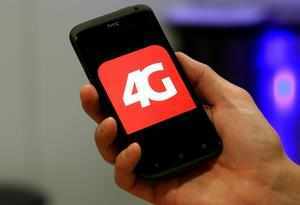 Guwahati, Jul 31 : Country's largest private telecom operator Bharti Airtel today rolled out latest 4G technology in Meghalaya's capital Shillong, the first in northeast. "Bharti Airtel Ltd, a leading global telecommunications company with operations in 20 countries across Asia and Africa, today launched 4G trials exclusively for its customers in Shillong," the company said in a statement. As part of the trial offer, Airtel customers in Shillong will be able to avail a complimentary upgrade to 4G services at 3G prices, it added. "Today, as we launch Airtel 4G trials for our existing customers in Shillong, they will be uniquely positioned for a superlative 4G experience. "We are committed to building a world class 4G network in the region," Bharti Airtel CEO (Assam and northeast) Saurabh Goel said. The company started the testing of 4G signals in Shillong about two months back and is emphasizing on this entire process so that customers do not face any issue once the facility is introduced. As part of its plans to expand customer base, Airtel has also announced "go-to-market partnerships" with Samsung and Flipkart for 4G devices. The company claimed that the 4G services will enable customers to avail superfast internet speed with facilities such as high definition video streaming with zero buffering, downloading up to 10 movies in less than 30 minutes, uploading two high resolution photos per second and connecting multiple devices without compromising on the experience, among others.